A quiet cul de sac location enhances this delightful low maintenance home on an easy care 346m2 approx block. Ideal villa alternative property for investor or 1st home buyer that was renovated only 4 years ago. Timber floors, high ceilings with living area accessing covered alfresco deck. Newly fenced front yard perfect for small children or pets. Inspection is sure to impress. * Fantastic 1st home or investment opportunity, renovated 4 years ago. * The property is "Torrens Titled" and positioned on an easy care 346m2 approx block. 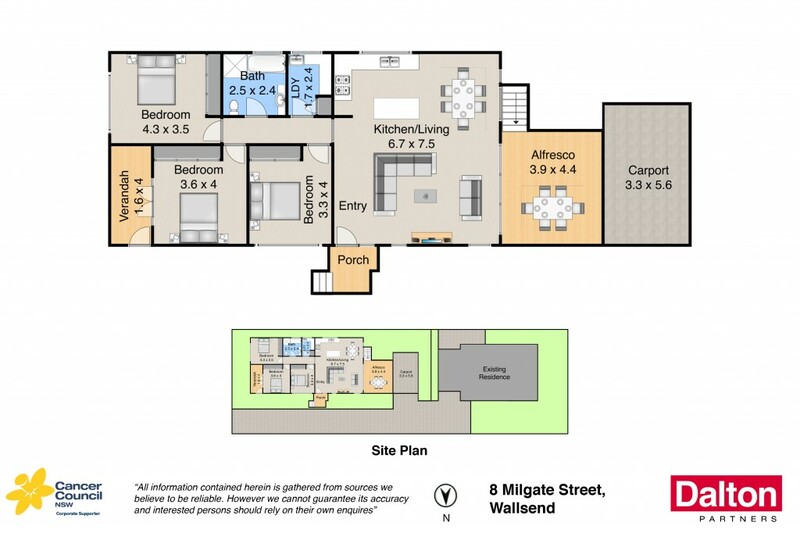 * Spacious open plan living areas enhanced by timber floors and split air cond. * Living area views covered alfresco deck, newly fenced front secure yard. * 3 very large bedrooms all with built in robes and ceiling fans. * Driveway leads to carport and storage locker. * Easy access to main roads and shopping, inspection sure to impress.